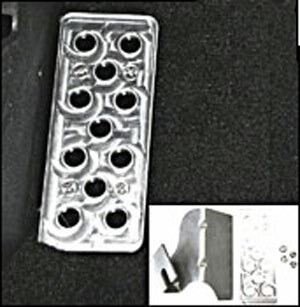 Made from billet aluminum, this dead pedal provides positive placement for your left foot when not using the clutch. Improves driver confidence and compliments our pedal cover set. Mounting bracket and hardware included.